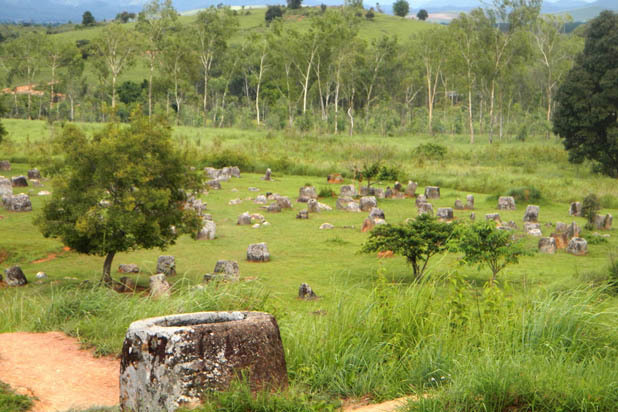 The most mysterious and magical of all Lao attractions are the Plain of Jars. 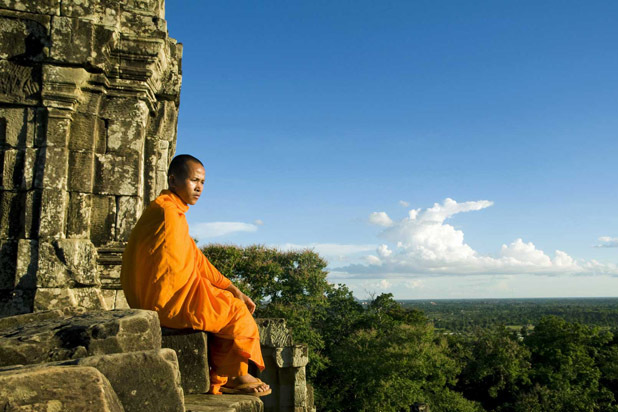 Most of the landscapes consists of steep mountains and lush green hills. 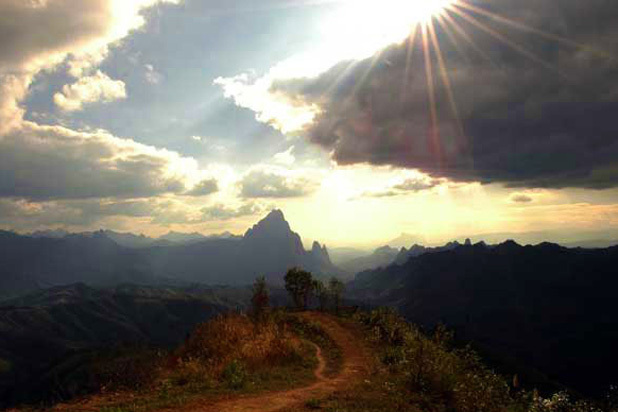 Xiengkhouang Province offers the awesome beauty of high mountains and rugged karst formations. 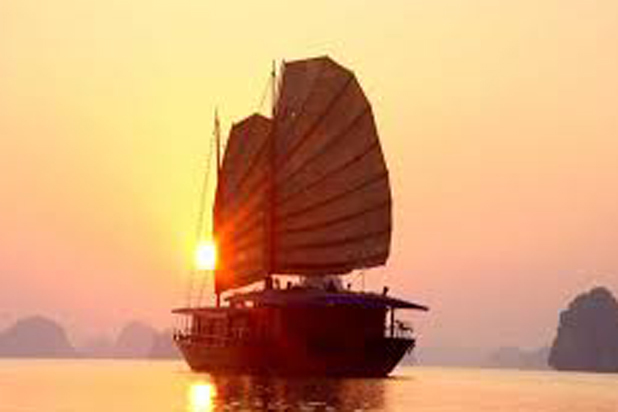 How to get in Xieng Khoang ? 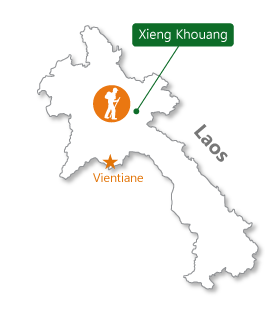 Located 400 Km northeast of Vientiane Capital, there will be a 3 flights each day from Vientiane to Xieng Khouang. 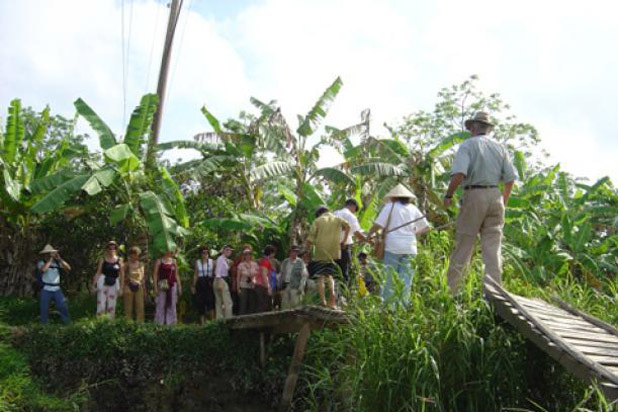 The pristine landscape of Xieng Khouang is made up of high plains, green peaks and lush valleys. 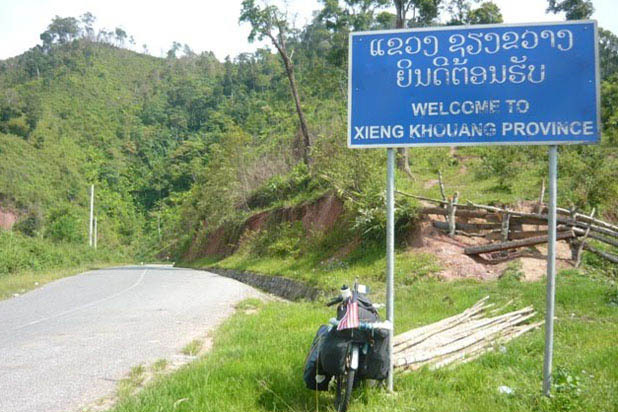 Lying on a high altitude (average 1200m) Xieng Khouang enjoys pleasant climate, cool during day and a bit chilly at night especially during winter. 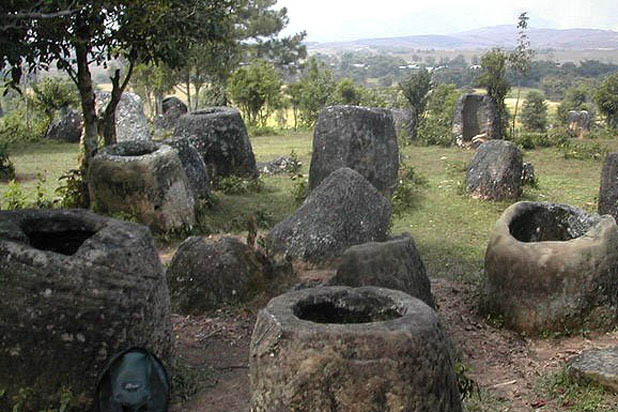 The legendary Plain of Jars consists of hundreds of giant stone jars strewn all over the plateau. History has not been revealed yet but legends tell that these huge jars were used to store dead bodies of human as ancient customs. 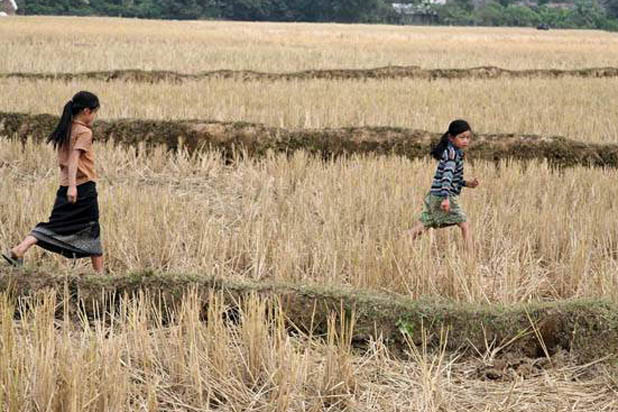 No one knows exactly, just take a walk to discover this weird area.